In January 2014 the UBC Library Digitization Centre will start a project to digitize titles from its Asian Library rare book collection. The project is a collaboration between the UBC Library and the Sun Yat-sen Library of Guangdong province in China. There are many rare and unique titles in the collection which makes is of particular interest to scholars in China and around the world. There is currently a pilot collection and titles will be added as materials are digitized and metadata is created. 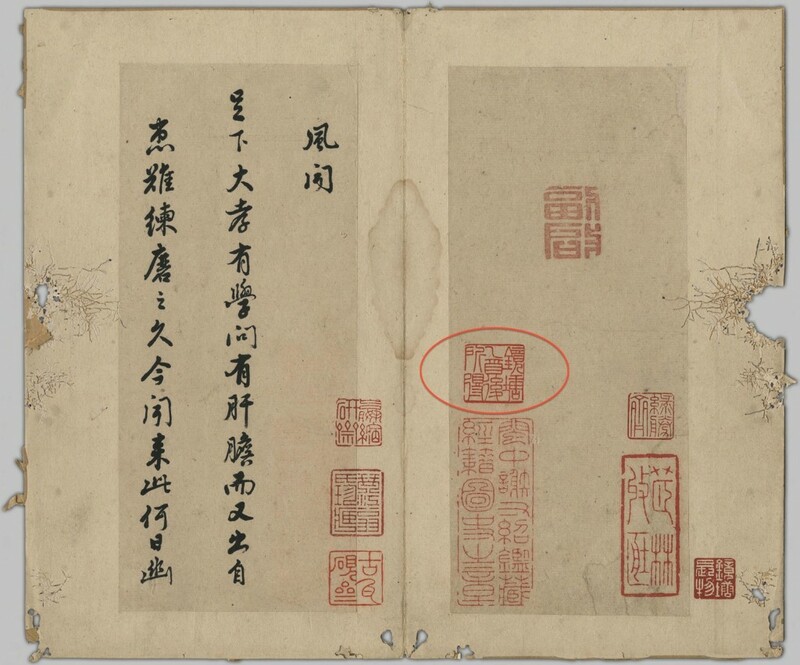 The image above is from the title 熊廷弼、楊漣書札 [Xiong Tingbi & Yang Lian shu zha], a work on the history of the Ming dynasty, and shows a page with various seals including that of 龐鏡塘藏 [Pang Jingtang] (circled in red) for whom one part of the collection is named. Pang Jingtang owned a variety of important works on history, literature and military matters. Presented by the Academic Librarians in Public Service (ALPS), a section of the British Columbia Library Association. Its purpose is to promote the exchange of ideas among academic public service librarians and to provide a network of professional expertise resulting in excellent public service programs in the post-secondary libraries of British Columbia, using the latest methods, systems, and technologies.